Way back in March 1967, brothers Fred and Peter Done set up their first betting shop in Salford, UK. Fred Done had convinced his younger brother to ‘invest’ in England winning the 1966 World Cup and between them they managed to scrape together £250. By the time the tournament ended, they had enough money for a down-payment on their first betting office, which established the roots from which the world’s biggest independent bookmaker has flourished. By 2000, the brothers had opened some 300 additional offices. In October 2001, the British Government altered the betting tax regime from a tax on turnover to gross profit based taxation. This decision changed the nature of the betting industry and further developments over the next five years allowed the business to prosper, growing at a faster rate than any other retail betting competitor, with a strong acquisition and development strategy key to this growth. 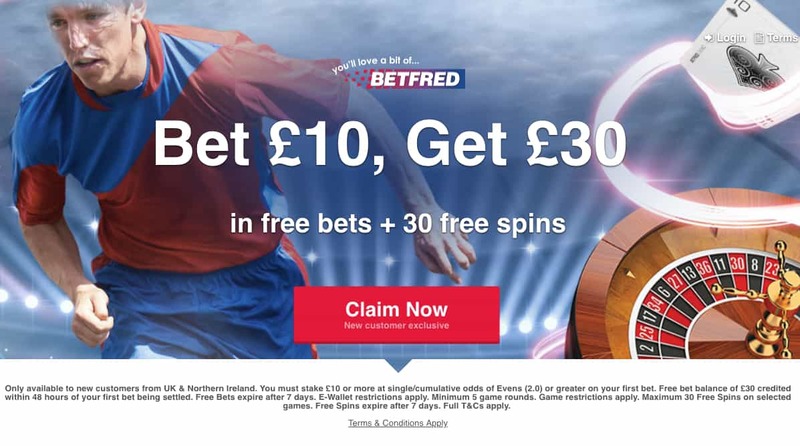 In late 2004, the entire business was re-branded Betfred and from that point onward, the business boomed and a full range of new online products and services was developed. Offering more bonuses than any other bookmaker and boasting over 830 shops across Britain and an annual turnover in excess of £1.5 billion, Betfred is proud to be the official in-stadium and online gaming partner of Wembley Stadium. With the UK regulated business having over 10% of the market share of the UK retail betting market, the future of the brand looks bright.